Prosciutto di Parma 18 mesi stagionatura 1/2 prosciutto 3,20/3,40 Kg. Prosciutto di Parma 18 mesi stagionatura 1/2 prosciutto 3,40/3,60 Kg. Prosciutto di Parma 18 mesi stagionatura 1/2 prosciutto 3,60/3,80 Kg. Prosciutto di Parma 18 mesi stagionatura 1/2 prosciutto 4,00/4,20 Kg. Prosciutto di Parma 18 mesi stagionatura 1/2 prosciutto 3,80/4,00 Kg. Prosciutto di Parma 18 mesi stagionatura 1/2 prosciutto 4,20/4,30 Kg. Prosciutto di Parma 18 mesi stagionatura 1/2 prosciutto 3,100/3,200 Kg. All types of SAN NICOLA ham are natural products, for which only the best meat from Italian pigs are used without the addition of preservatives, nitrates or other chemicals. Only sea salt is added to the meat. During the long process of maturation the flavors, fragrances and aromas can develop that make the SAN NICOLA ham a real masterpiece of ham production. This ham is well appreciated in the best restaurants around the world. A half ham is great for families. It weighs less than 4 kg, and vacuum packed it remains fresh for 6 months. With the purchase of a piece of ham you can have the benefit of a 18 months aged ham in the family. It can be easily cut with a slicer or with a knife. 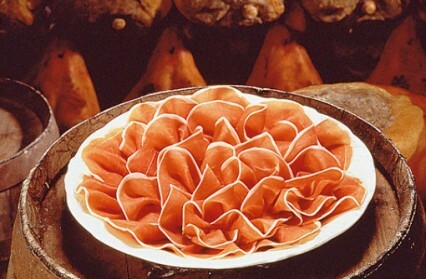 : Prosciutto di Parma D.O.P. 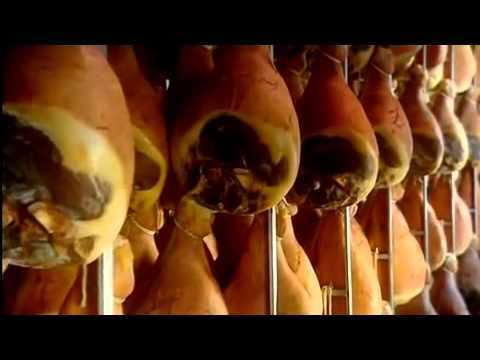 Prosciutto di Parma: quality and care for the choice of the raw materials. The care for the details and the aging phases, the passion for an ancient work made up of ancient traditions handed down through generations, the balance of the perfumes and tastes of a rich and generous land. The quality and the attention in the choice of the raw material: this is the secret that makes the Prosciutto di Parma one of the most well known and appreciated products throughout the world. Nor preservatives or chemical additives are used, so the result is a tasty and completely natural product. To these ingredients only the skills of the seasoning masters and the dry but delicate air of the Parma hills are added. The uniqueness of this territory is having ideal climatic conditions for the natural seasoning that will give that unmistakable sweetness and taste to the Prosciutto di Parma,a DOP certified product controlled very strictly. The Prosciutto di Parma confirms a very easy to digest product, ideal fro children, athletes and elders thanks to the content of high quality proteins and the natural proteolysis that occurs during the aging. Only two ingredients, then the seasoning masters skills and the dry and delicate air of the hills that surrounds Parma. The authenticity of this territory, an area extremely limited, this is exactly the one endowed with the ideal climatic conditions for the natural aging that will give that unmistakable sweetness and taste to the Prosciutto di Parma. 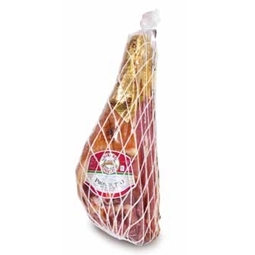 The Prosciutto di Parma is a genuine and tasty product. Since always no preservatives or chemical additives are added, the result is a 100% natural product. The Ghirardi Onesto's Raw Ham has a captivating,sweet and dedicated taste that reflects its quality that derives from the selection of natural ingredients and the best pork meats, and its lack of preservatives and artificial agents thanks to the artisanal production. The productive methods barehanded down from one generation to another, respecting the traditions and the careful research of the quality. 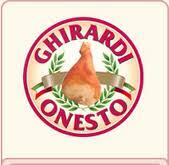 Gherardi Onesto Raw Ham is produced only with pig that are breed in the Po valley. Each Raw Ham is hand-salted and kept in a controlled environment to guarantee the perfection of every detail. It slowly dries off to reach the right level of aging, with the help of the minimum quantity of salt to give the product the right sapidity and balance. Ghirardi Onesto "The company was founded in Langhirano, the capital of Prosciutto Crudo"
The company was founded in Langhirano, the capital of Prosciutto Crudo, in the 1960s. 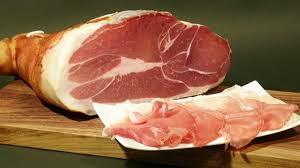 Over time, it has specialized in the production of raw ham and today it is known all over the world. Check out the video!